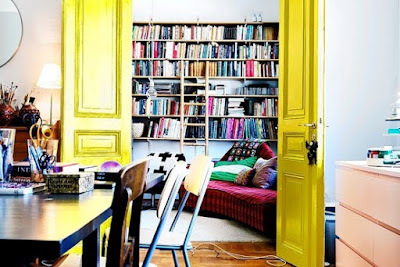 Here are some inspiring photos to get you to think differently about your bedroom doors. Decorative interior doors gives you great options for style and fun for your bedroom whether you have a single door or a double door. Possibilities are endless. 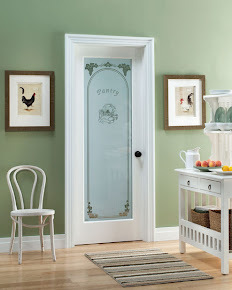 Just look at a handful of designs from Feather River's interior door collection. Fossile9 Lite Marginal TDLCross Reed10 Lite TDLMulti Cube5 Panel Traditional9 Lite Obscure Wave Grooved Sweet IrisThere are many more designs to browse on our Interior Door Builder as Feather River Door's Interior Collection offers a wide range of artful designs to suit rooms of different function and style. It is hard to imagine Spring peeping around the corner when most of Northeast is covered in piles of snow, but before we know it, it will be time for a backyard BBQ and hanging out on the porch. If your patio door needs replacing, now is a good time to start thinking about it... It's never too early to plan. A black front door makes a striking statement. image from Jeana Sohn Feather River Exterior Door - Preston Half Lite Door in Tricorn Black It is not too difficult to do so with our pre-paint program. If improving your entry way is something you've been considering, go ahead -take a look. A handsome TorinoCraftsman Arch Door accents the entryway and the wrought iron in the glass complements the bench. Small detail can add a nice touch! (The homeowner painted an unfinished door which can now be done through our pre-paint program.) 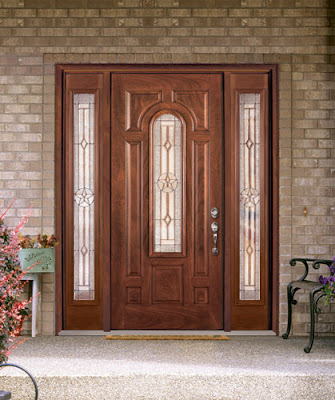 ====================== Before AfterA 2 Panel Mahogany door not only looks warm and inviting, it also solidifies this entryway. Adding curb appeal to a home is one of the most popular home improvement projects for among homeowners. 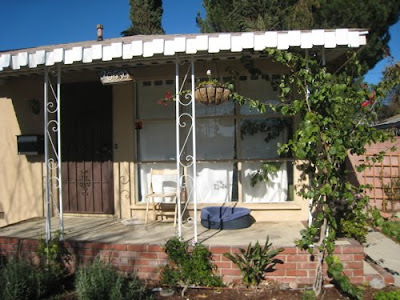 It is no wonder why - increasing curb appeal can add 10%-30% value to a home. Besides, who doesn't like returning to a beautiful and welcoming entryway? Adding pots of flowers/plants, painting the exterior or replacing an old front door can make your home much more attractive. 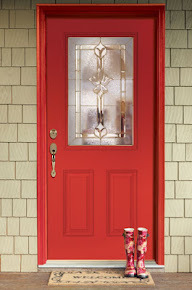 Browse through our exterior door collection or painted door options for inspiration.